Back – hubbie did well to battle the winds we’ve had today! 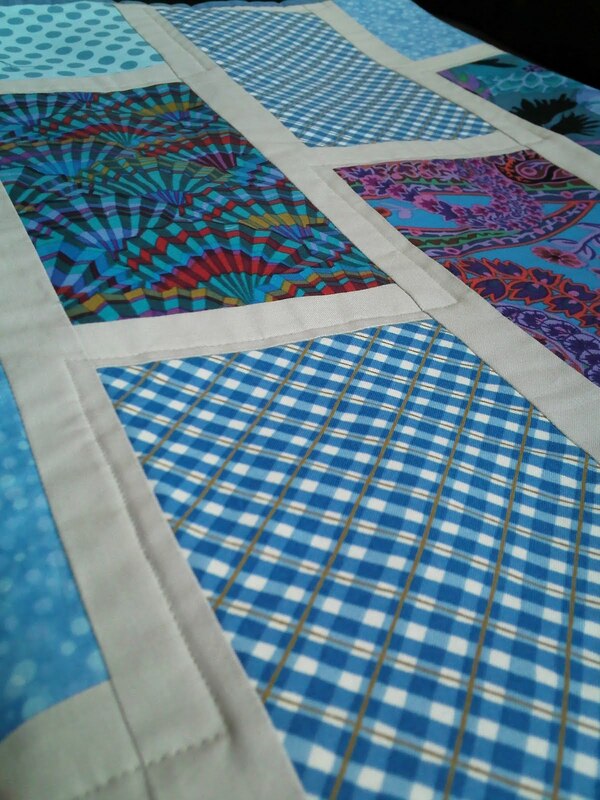 I went with a single quilting line down through the ‘mortar’, rather than two as per the original pattern. I wasn’t confident about the fabric I’d put on the back staying ‘pucker-free’ with two lines close together, so I chickened out and just did the one line. Pic is a bit dark, sorry. 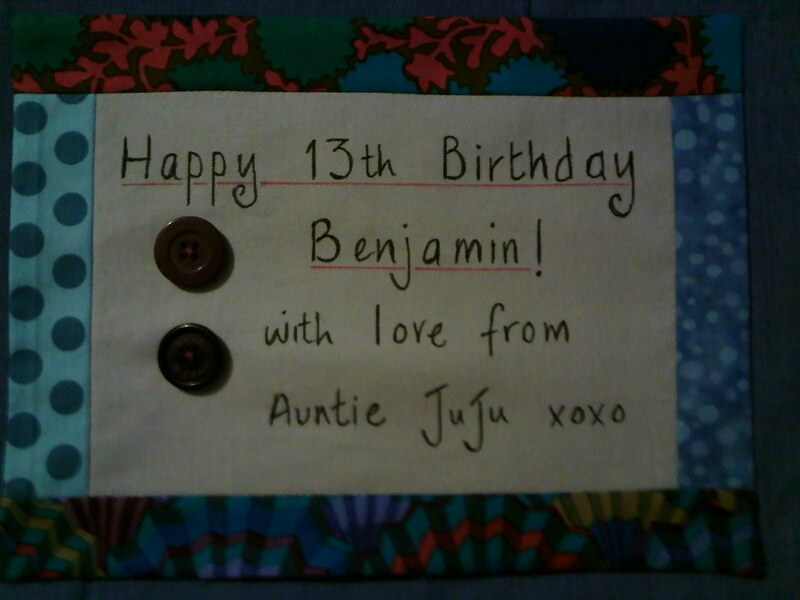 The buttons have designer names on them which B should appreciate! 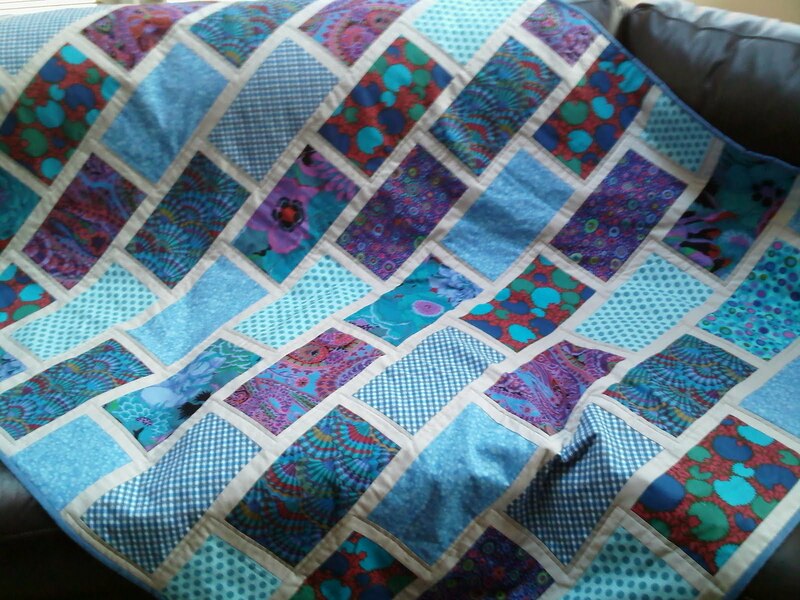 My nephew is a trendy, stylish (soon to be 13) guy, so I know he’ll appreciate the designer elements of the quilts, not to mention the fab, bright colours which he likes. 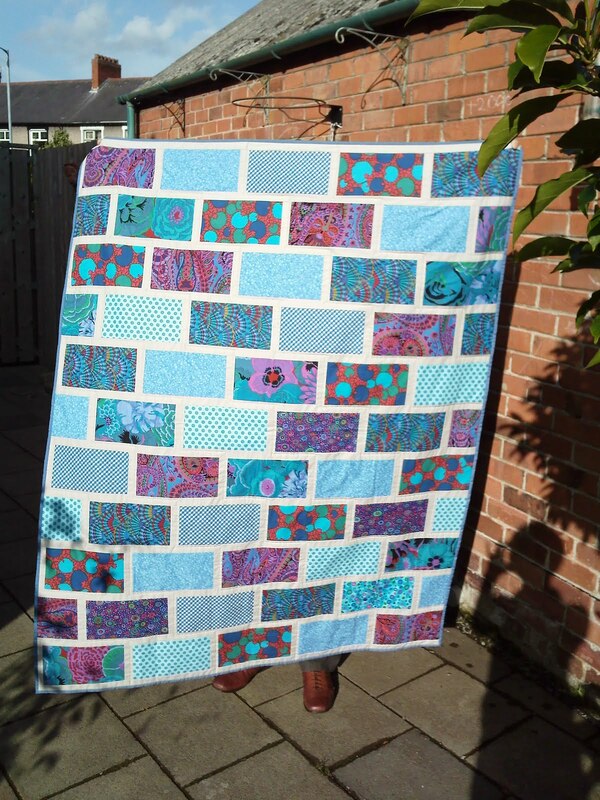 This was my first time using the colour brick pattern, but I really enjoyed it and would like to do it again in a completely different colourway. 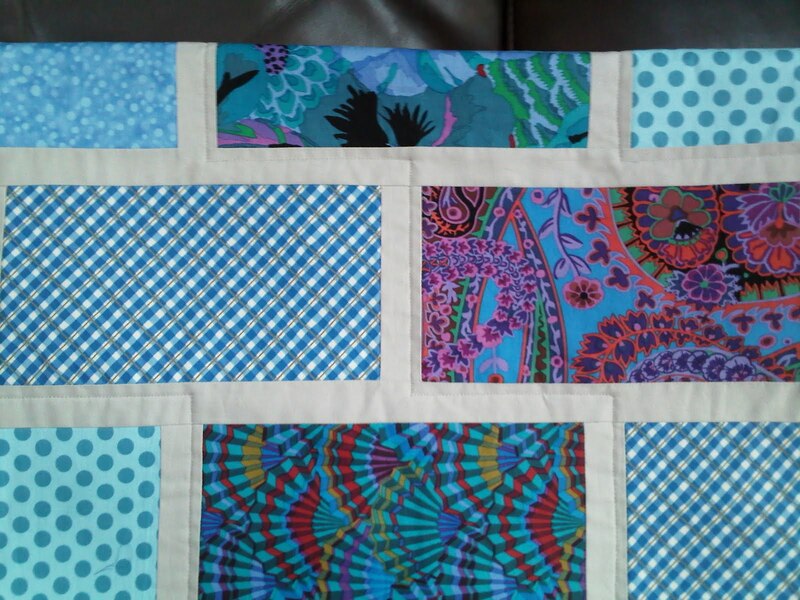 If you fancy having a go yourself, there’s a great step by step tutorial here by Stitched in Colour. 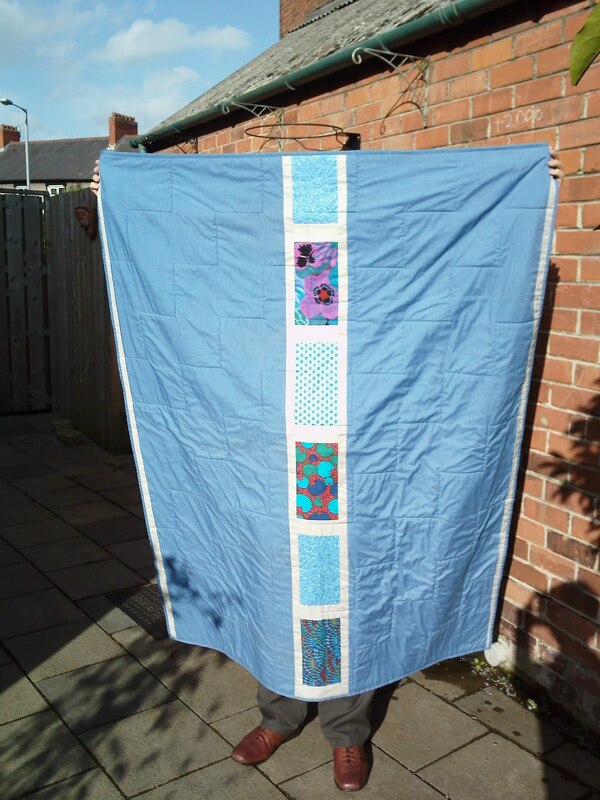 Also, you can see lots of other colour brick quilts here in Flickr (you will need to look through the pages as they are intermingled with Bottled Rainbows Blocks). Next project? Something small I think! 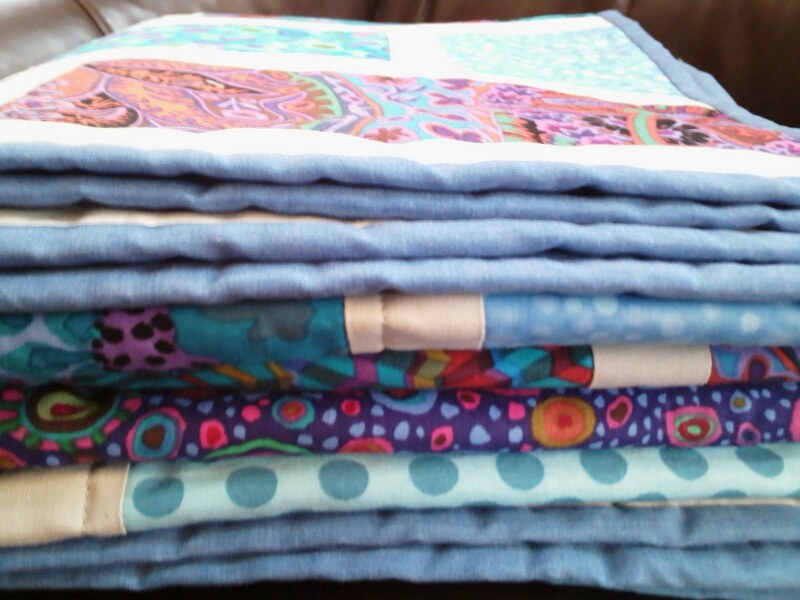 Previous Previous post: New Blogger – Poppy Makes!